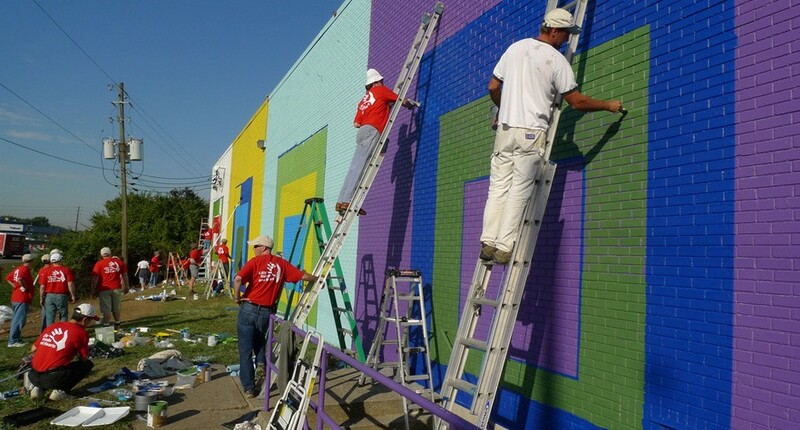 In partnership with Eli Lilly, the Big Car team designed, commissioned, and painted murals as part of Lilly’s Day of Service program, which matches Lilly employees to service projects around our community. 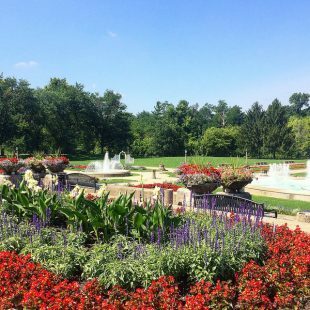 We designed these community projects to be collaborative in nature – converting everything into a paint-by-number system so that many people could work on one project simultaneously. 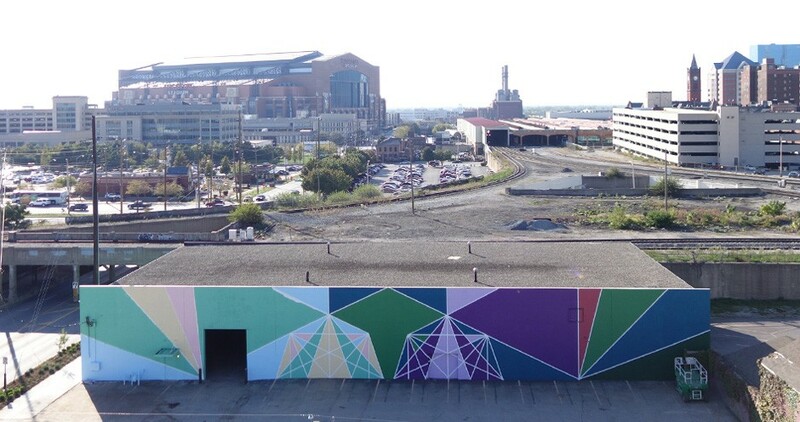 For example, the Triangula mural at the White River trailhead involved the Big Car team devising a system that empowered volunteers to take part in the design process, making decisions about the shapes of every triangle that composed the abstracted water walls. In October of 2016, volunteers helped paint wayfinding pavement murals designed by neighborhood artist Emily Gable, and built a community garden at our artist Residency House and worked on other painting projects. These photos show highlights from the 2016 Lilly Day of Service. For more information on the 2015 Lilly Day of Service and documentation, look here. 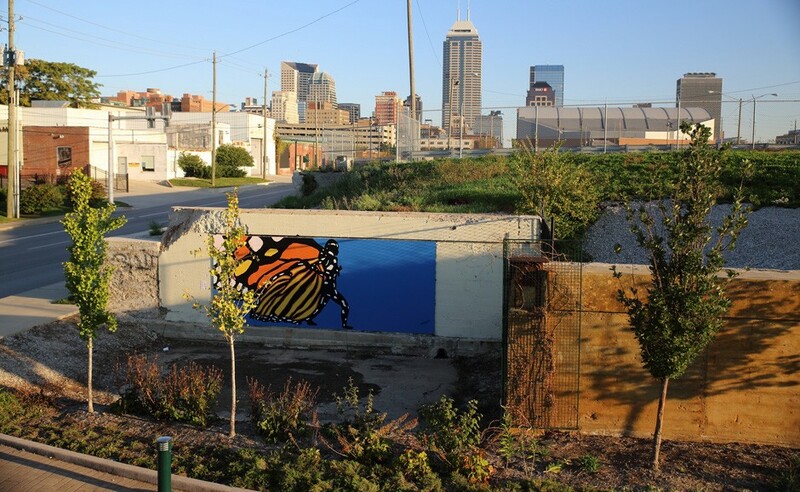 In October of 2014, the Underpass Mural was created in partnership with the Stadium Village Neighborhood as part of Indy Do Day. 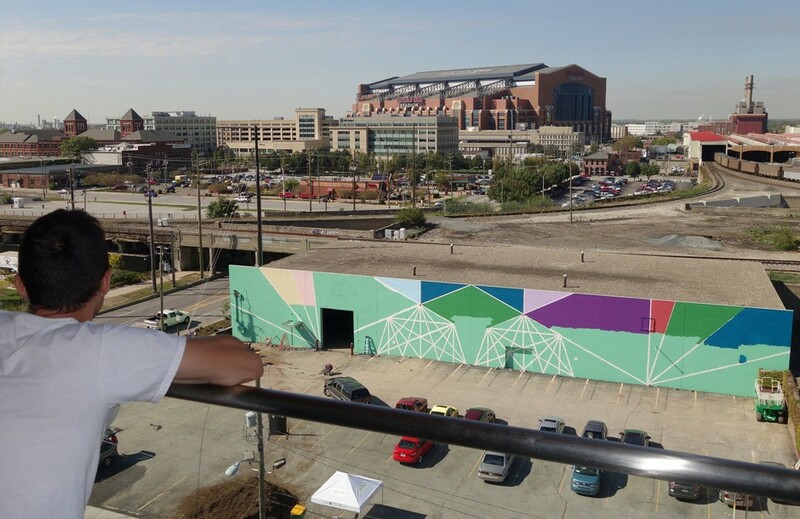 Approximately 11,000 square feet, this mural is located on South Meridian Avenue, at the gateway to downtown Indianapolis. 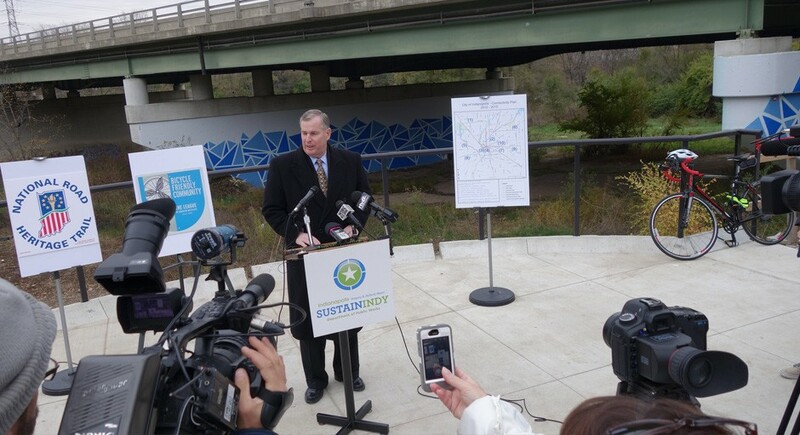 For more information on the Underpass Mural project and photos, check here. 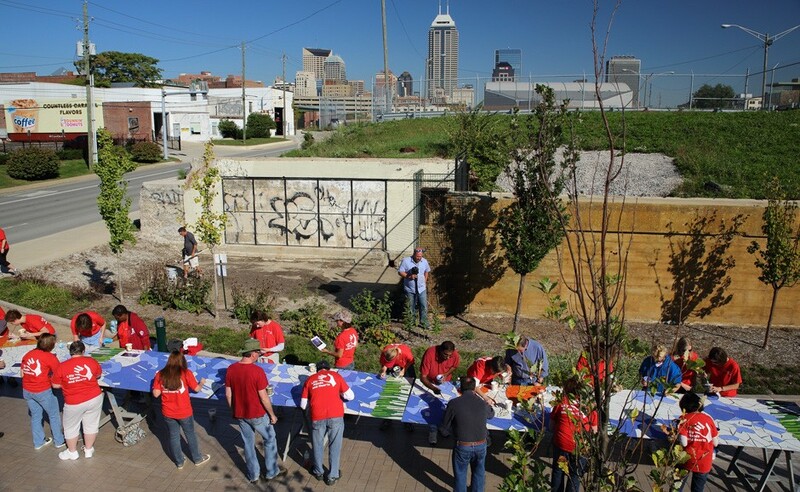 In October of 2013, Big Car led several projects as part of Indy Do Day. This video shows highlights of the projects. Most projects took place on the south side of Downtown, with one in the Near Eastside neighborhood. Indy Do Day 2013 Creative Projects: Serving Indy Together. 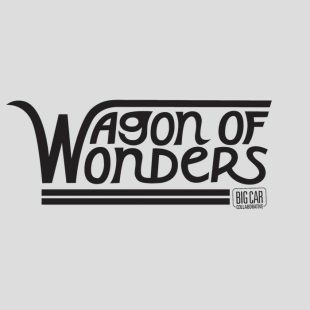 BigCar.org from Big Car on Vimeo. 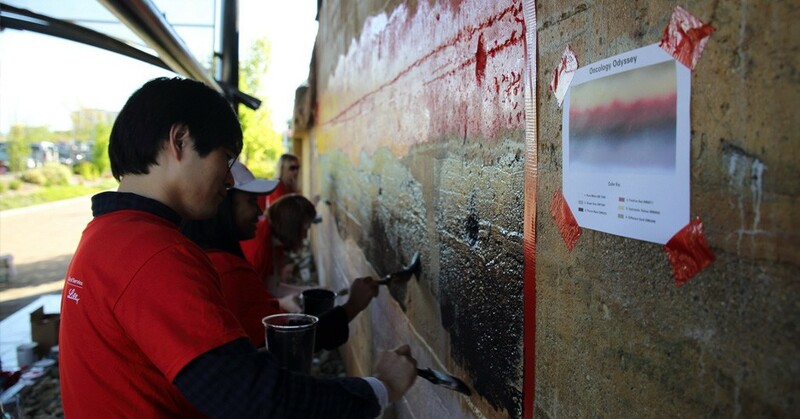 On Oct. 12, 2012, Lilly Day of Service Murals were created by Lilly employees and facilitated by Big Car staff. Each mural is based on paintings by cancer patients or their families as part of the Lilly Oncology on Canvas Program. 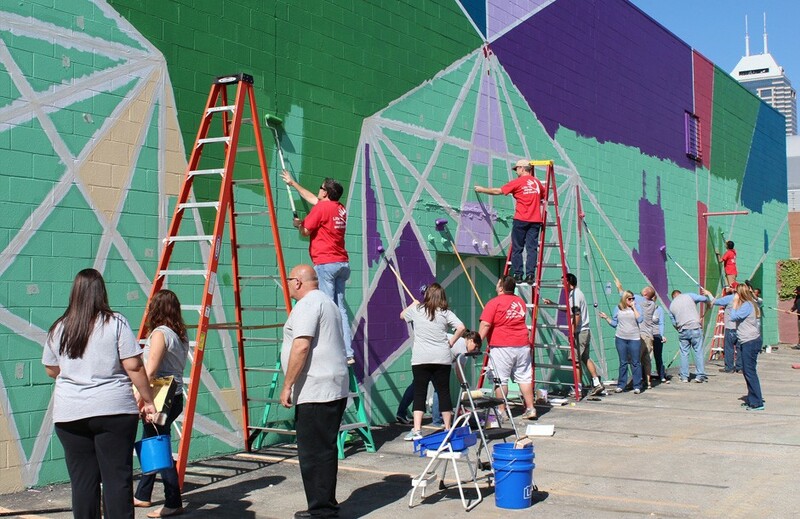 Lilly Day of Service + Big Car = Mural Awesomeness from Big Car on Vimeo. 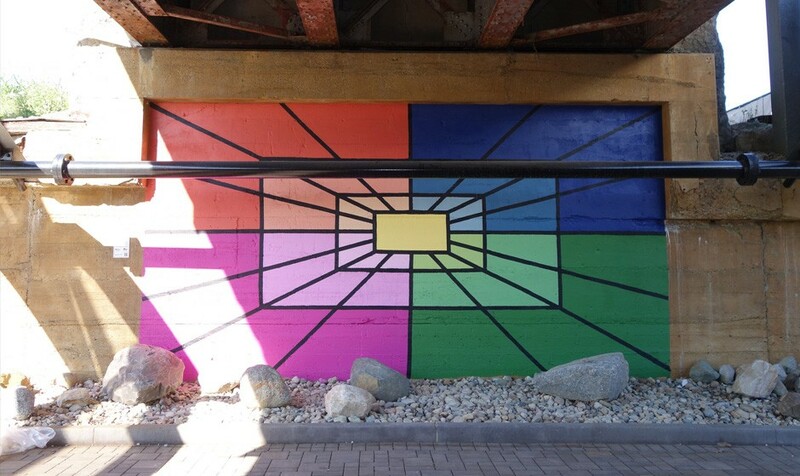 Two murals completed by Lilly’s Day of Service program in 2012 were also part of the Art Council’s 46 for XLVI project. In October of 2011, Lilly Volunteers ventured to the Lafayette Square to help us make monumental visual art. 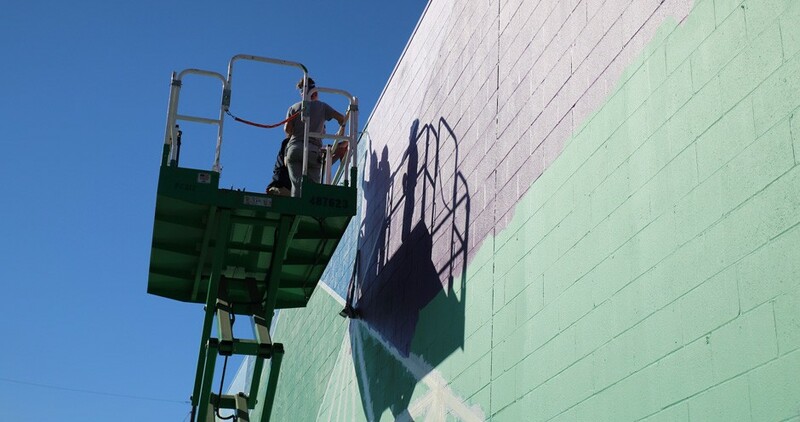 The giant, awesome mural that adorned the side of Service Center was designed by famed illustrator Andy Miller. 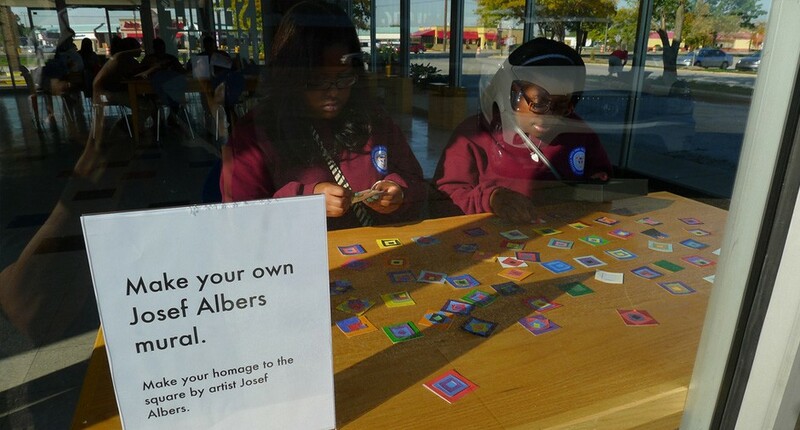 Also monumental was the Joseph Albers-inspired mural that was painted near the gateway to Lafayette Square, which was designed after soliciting much input from nearby kids at our Make Your Own Joseph Albers Mural station. And, since all good things come in threes (is that the saying? ), Clayton Hamilton’s wonderful piece Unite! 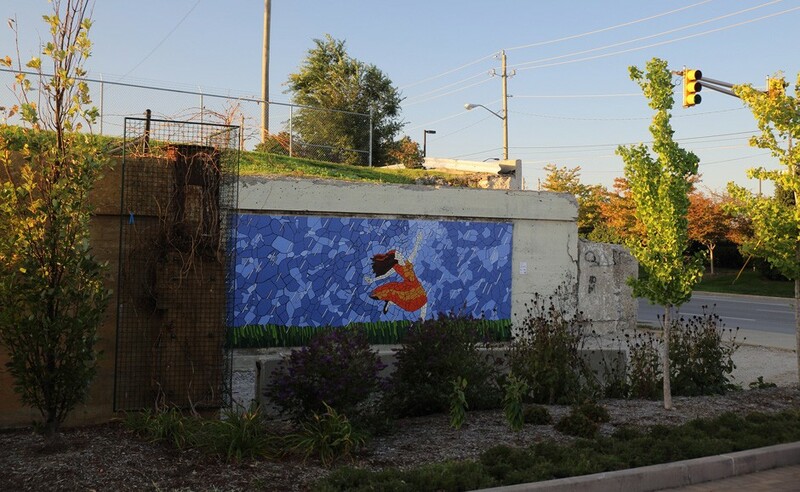 for Culture and Community was executed and mounted on the north side of Service Center during the 2011 Day of Service.